Women wept, yearned and fantasized about him. Men coveted and copied his mysterious style. And both lined the railroad tracks when his body was transported back to the Tinsel Town that made him famous. 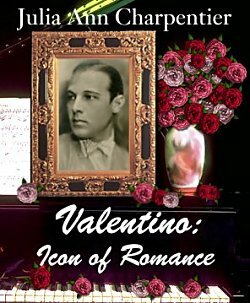 Based on over one hundred rare sources, this biography of actor Rudolph Valentino will thrill romantics and fans of silent film. Encased in a shroud of mystery is a fascinating individual concealed too long behind his persona.